This module is useful for companies selling services, wholesale products, and to non profit business. You fully control which customers are sales tax exempt and which one are not. You can easily change a group from tax-exempt to non-tax exempt, and vice versa. A good way to implement this module is that after a customer gives you their TaxI ID number, you simply move them into the tax-exempt group, and thereafter they will not pay taxes. 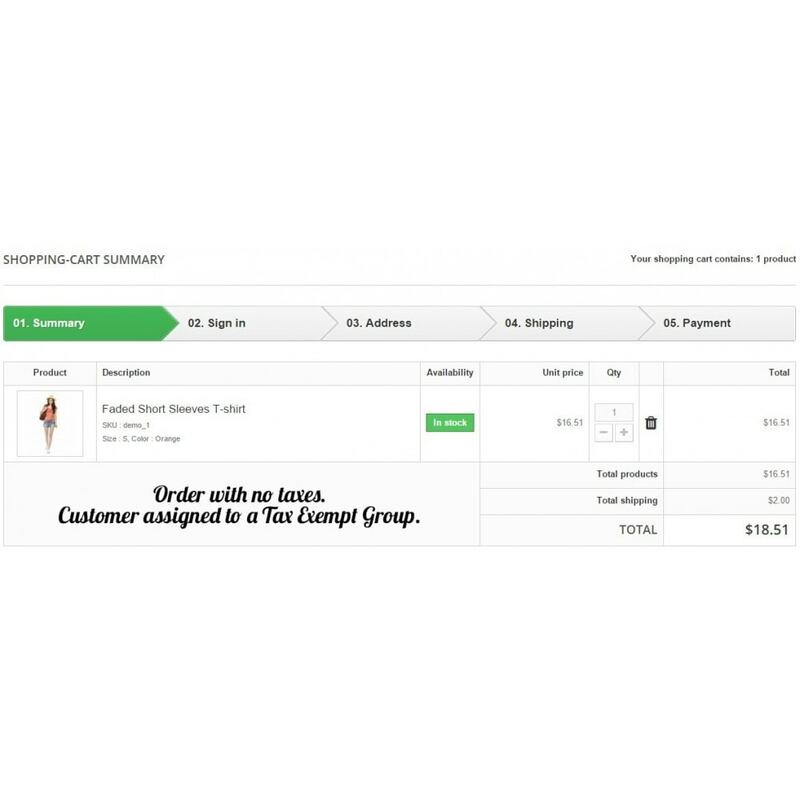 Customers that are not within that group will be billed taxes based on your shop rules. The PrestaShop Tax Exempt module is easy to use and install, and I have included instructions. I take pride in good customer service, so please let me know if you run into any problem via the communication system. You can easily handle non-profit and tax-exempt businesses by not charging sales tax during check out if they belong to a tax-exempt group. Easy to manage your customers who have a TAX-ID number. They will not be billed sales tax. This module is great for wholesellers, resellers, and folks who sale to non-profitable organizations. 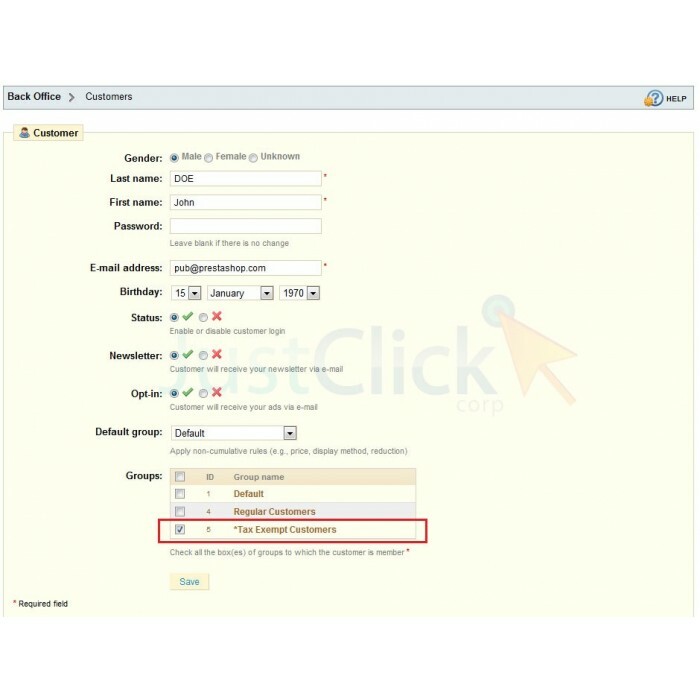 Create as many Tax Exempt groups as needed and organize your Tax Exempt customers. Tax Exempt allows you to manage your tax exempt group of customers. 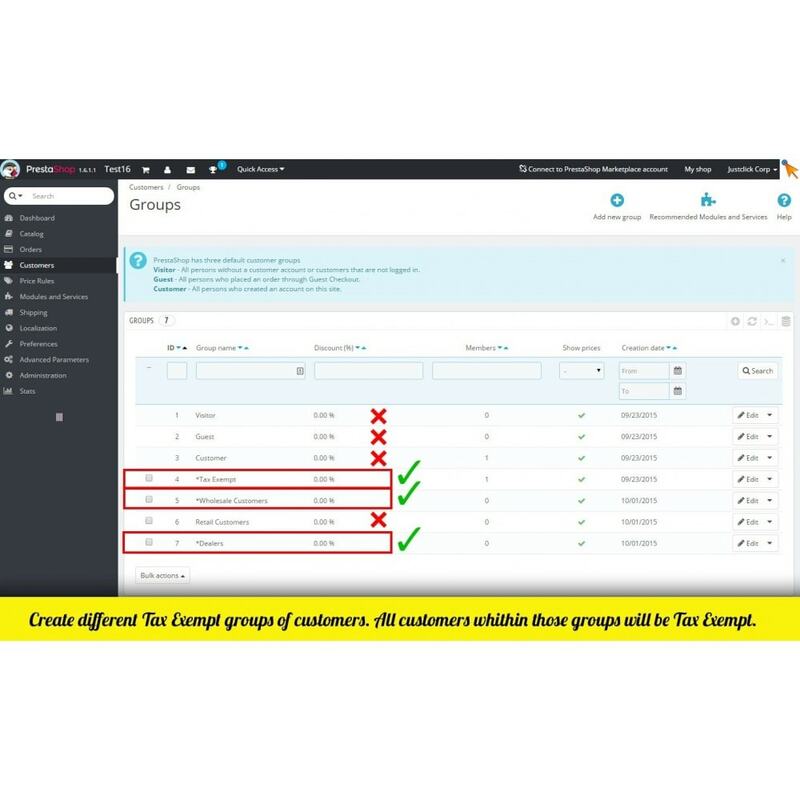 Create or convert regular groups of customers into Tax Exempt groups. 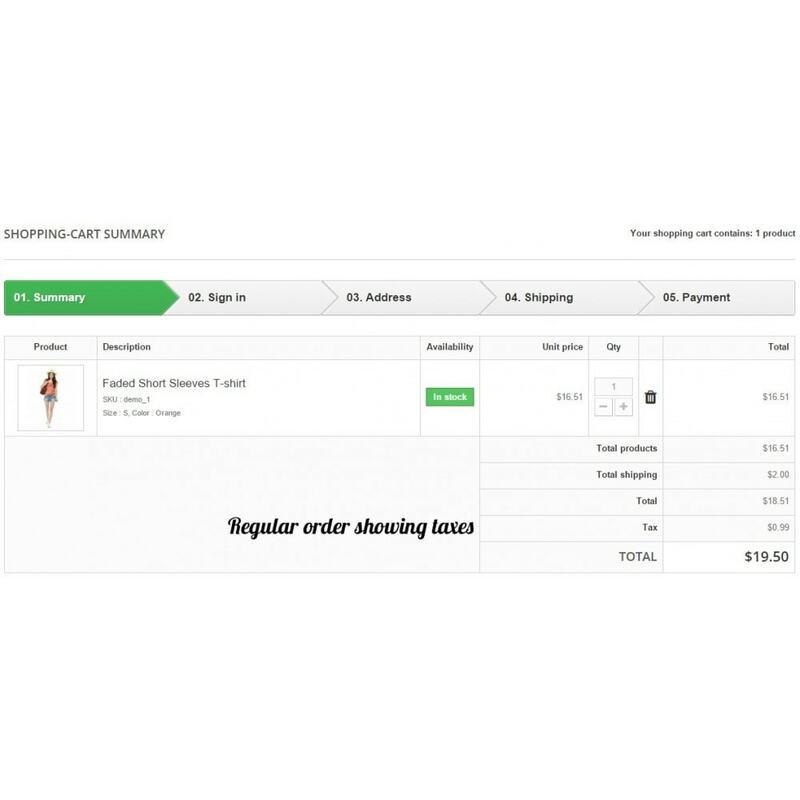 Adds a block displaying your store's top-selling products for each categories. Customers who benefit from tax exempt status will now be able to purchase from the merchant without any additional steps to take, following your "approval". No changes are required to the core file of PrestaShop. Just install the module. It is very easy to use.